Gennari’s presentation “Spark of Life: A Career as a Professional Fine Artist” is set to take place Tuesday at noon in the Dunford Auditorium, located in the Browning Resource Center on the Dixie State campus. Admission is free, and the public is encouraged to attend. During her lecture, Gennari will discuss the processes she follows in her work and the inspiration that drives her to finish. Additionally, she will provide the audience with insight of the competitive, but rewarding act of becoming an artist and how to transform a few lines on a canvas to a fully formed painted portrait. Gennari graduated from Ringling College of Art and Design in 2005. Following her graduation, Gennari attended the Florence Academy of Art in Italy, where she spent three years studying classical realism under Daniel Graves, founder and academic director of the Florence Academy of Art. After returning to New York in 2011, she worked as a painting assistant to renowned American artist Jeff Koons. She eventually left to pursue teaching and has taught at the National Academy Museum and School, the Long Island Academy of Fine Art and privately from her studio. Gannari, whose work has been seen internationally and has received multiple awards and honors, has written a book on drawing the human figure and hosted an online class that instructs beginners on the techniques used in creating traditional portraits. Dixie Forum is a weekly lecture series designed to introduce the St. George and DSU communities to diverse ideas and personalities while widening their worldviews via a 50-minute presentation. At the next Dixie Forum, Jennifer Jordan will present on filmmaking and “The Women of K2” at noon on March 26 in the Dunford Auditorium. 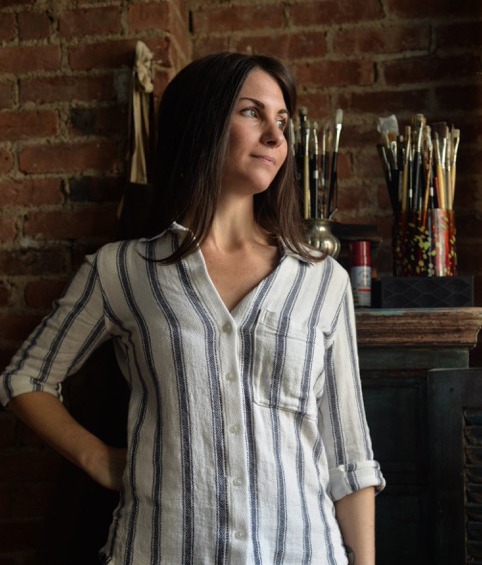 What: “Dixie Forum: A Window on the World” featuring artist Jennifer Gennari. When: Tuesday, March 19, at noon. Where: Dunford Auditorium of the Browning Resource Center on the DSU campus, 225 S. 700 East, St. George.